I went to my favorite art supplies store in the city, Blick, to pick up some items for styling projects. 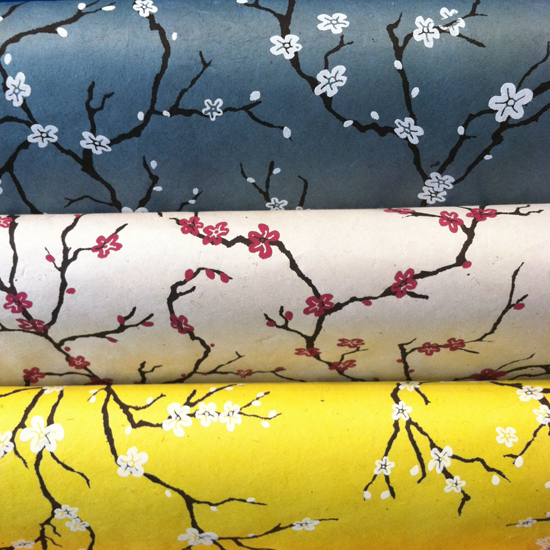 I thought this paper would make a beautiful wallpaper. 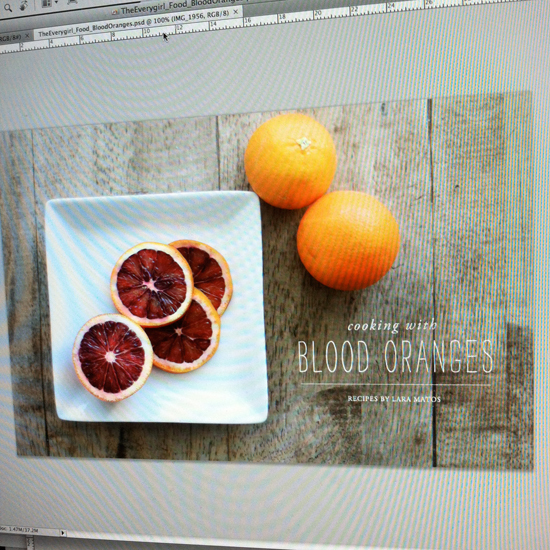 Did you see yesterday's Everygirl feature on cooking with seasonal blood oranges? Hands down one of the most beautiful features to date. Danielle's photography is gorgeous, and I am quite proud of the simple graphics if I do say so myself. Not to mention I was there to style this shoot so I got to taste everything. Delish. Our contributing food editor Lara Matos knows what she's doing in the kitchen. 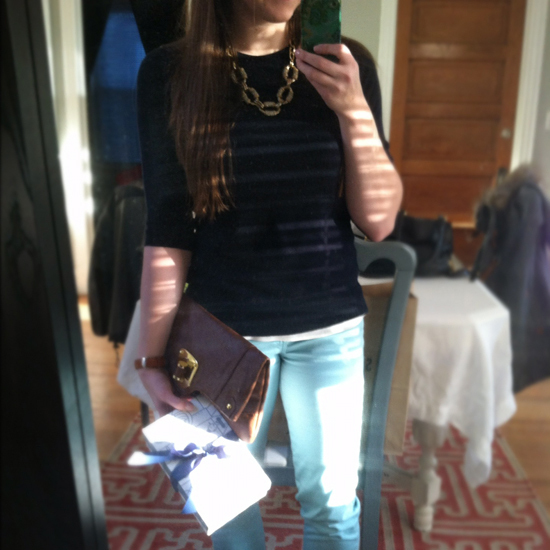 Attended a baby boy shower so I thought this navy Tippi sweater and my favorite Zara pants in teal were apropos. 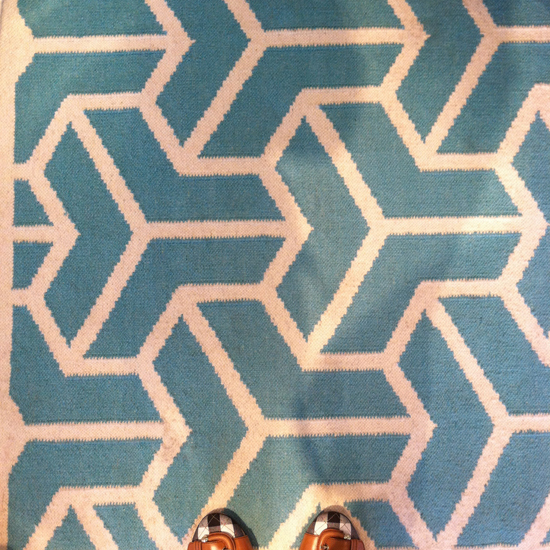 Spotted this bright geometric rug while in Land of Nod. It would definitely work in any space - living room, office, dining room - not just a child's bedroom. I've found similar things at surprising resources, like PB Teen and Restoration Baby and Child. I officially need glasses. When I drive around at night, the lights are all fuzzy and I can barely read street signs. Not good. Thoughts on these frames by Lookmatic? They're called The Apprentice and are very reasonably priced. Please excuse the hair. 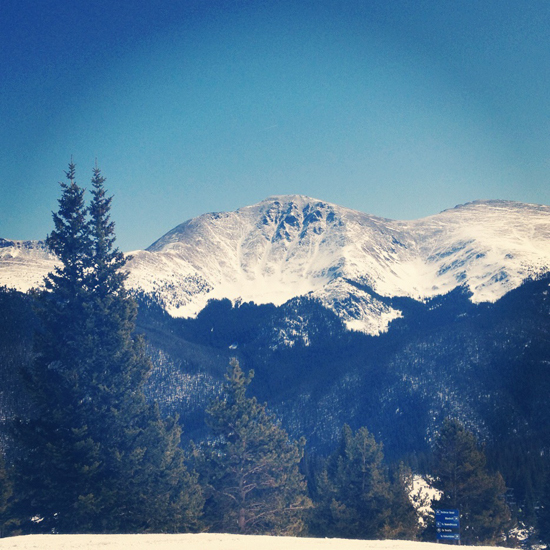 While I stared at a computer nonstop last week, I'd receive lovely little texts from the boy who was enjoying a much prettier view in Colorado. Not fair. 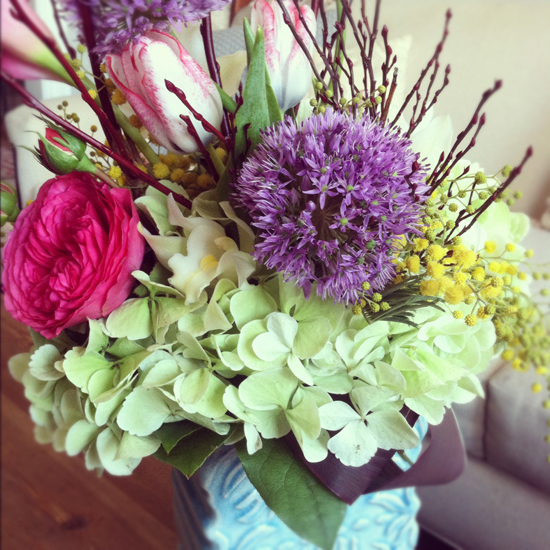 Fortunately this beauuuuteous bouquet arrived at my doorstep from a good friend as a belated congratulations on launching The Everygirl. Made my desktop view worth looking at! 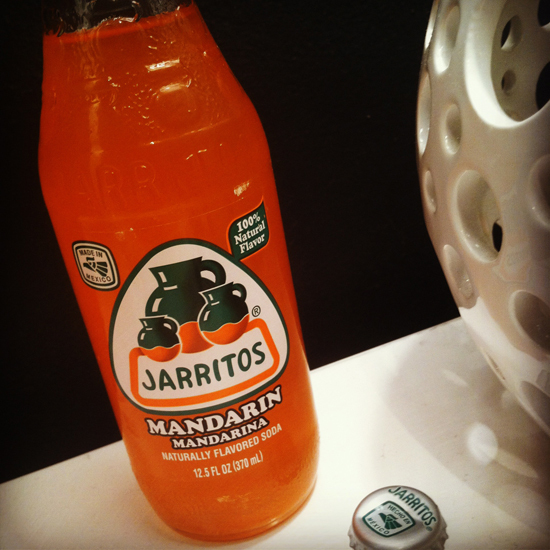 This weekend I also enjoyed my favorite new beverage, Jarritos. There was also plenty of wine and mojitos. Sign me up. Mmm... oysters on the half shell. Slurp. 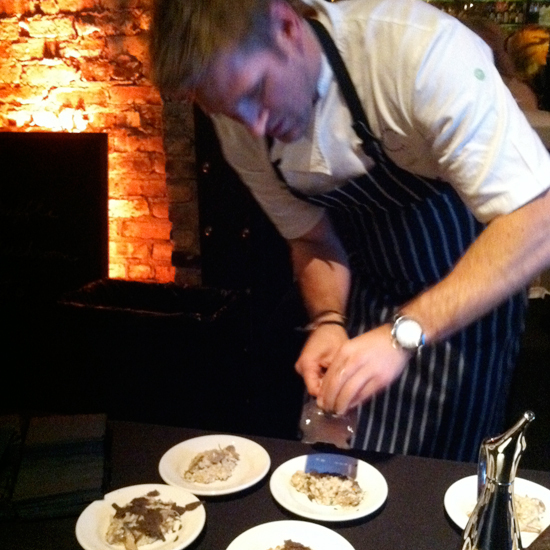 Curtis Stone shaving Italian truffles over a risotto. Holy hell that was tasty. Fun times. My friend and I with the man of the hour. Curtis always seemed really nice onscreen, and it was refreshing to see that he was just as genuine in person. So that's that. 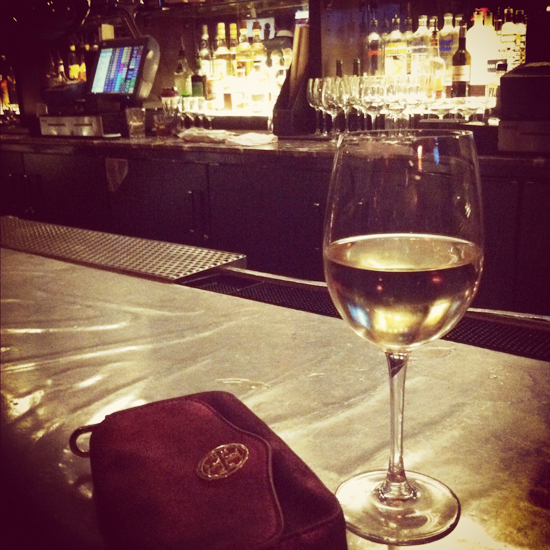 How was your weekend?! Great photos! 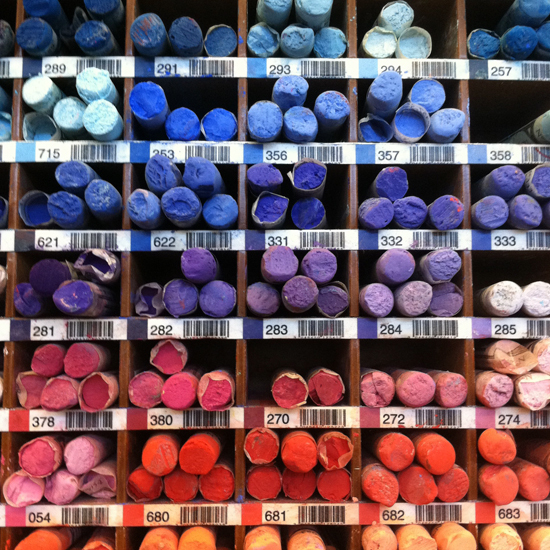 The first pic of the pastel crayons is pure beauty. And that party you went to? 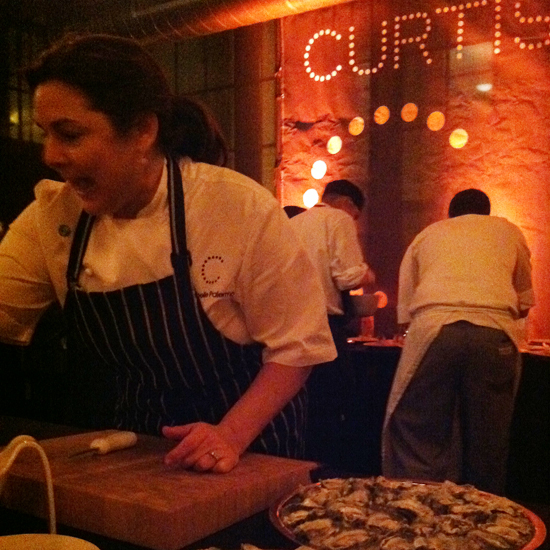 Champagne, pork bellies, and oysters? SWOON! 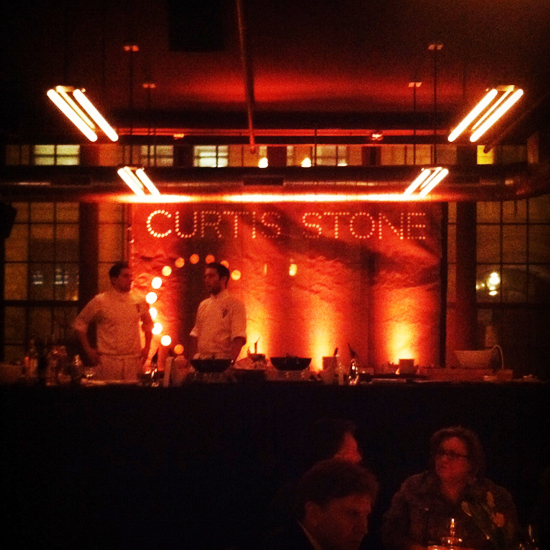 I love Curtis Stone! You're so lucky you got to meet him, that looks like a wonderful and tasty event. His accent...swoon! Sounds like a good weekend! Love the glasses. I like the glasses! If you hadn't said anything I would have thought you'd always worn them they look so good! Love the frames, they look super cute with your hair color! 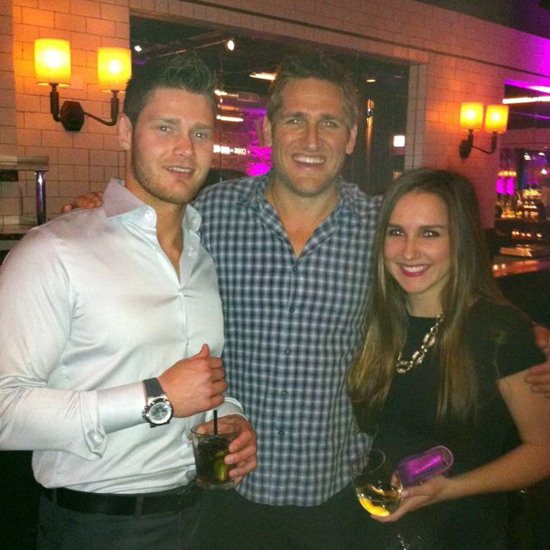 And, wow you got a picture with Curtis Stone, super jelly! Wish I could have been enjoying oysters with those two gorgeous hunks! Who's your friend "wink wink"? I like the glasses, I think they make you look very astute! 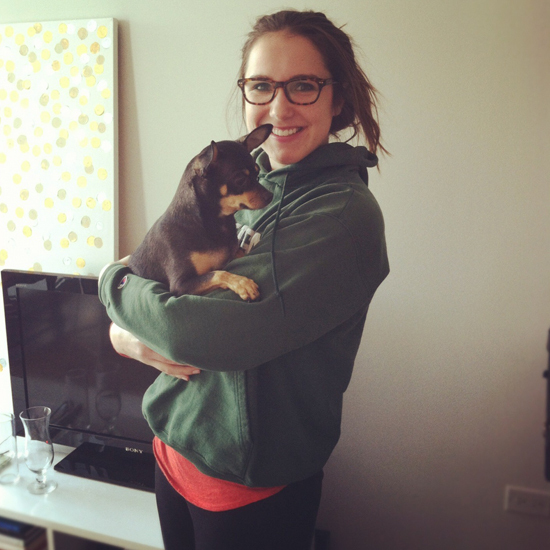 Where did you find the Zara pants in teal? I bought them in hunter green a few months back and have not been able to find them in any other colors since! I love you in those glasses. And..how lucky are you to be in a photo with C. Stone. I love that man. Loving these pics! looks like you had a fun time sans boyfriend! And those glasses suits you perfectly. I know I must wear glasses, because my eyesight is like yours even in the day, but I lose them all the time, and I'm too careless with my contacts. Sigh. Driving blind is quite scary. I met Curtis Stone at a Celebrity Chef cooking demo I set up for a client in Denver 2 years ago and I would 100% agree... he is as charming and genuine as he is on TV. What an awesome event to attend... so jealous! Thanks for sharing all the fun with us, love it!! Your life according to Instagram is so much more interesting than mine! And those frames are super cute! Cute post, I love all the pics. This may seem off the subject from this post, but I am really interested in seeing those shoes that is in the picture with the geometric rug. 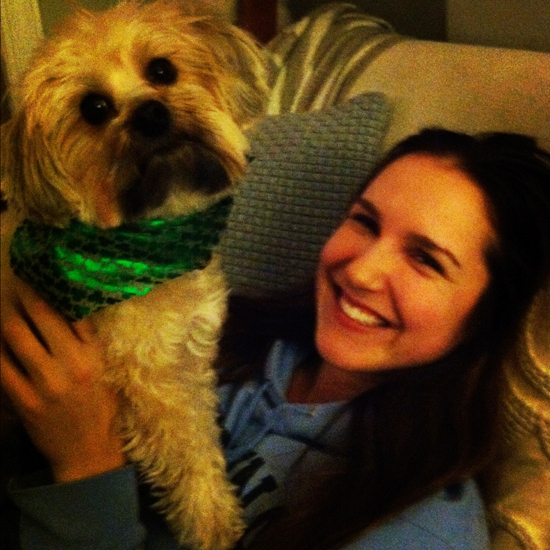 They look so cute! Where are they from?